Nov. 16, 2016, 1:04 p.m.
Nov. 16, 2016, 6:46 p.m.
For example, Evan Stanley's “Ghosts of The Future”, Ian Flynn's “Sonic: Other M”, Ken Penders' “The Lara-Su Chronicles”, etc. Nov. 18, 2016, 3:39 a.m.
Nov. 18, 2016, 5:25 p.m. 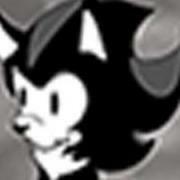 So no more Archie Sonic ?? Nov. 18, 2016, 7:42 p.m.
Nov. 18, 2016, 8 p.m.
Edited: Nov. 18, 2016, 8:08 p.m.
Nov. 23, 2016, 9:17 p.m.
Well, in the past few months I've already heard that StH is getting canceled after #300 and Mega Man is not coming back from its hiatus. I can't think anything more besides creating some sort of Archie Comics pressure system. Like, joining all the fanbase to ask Archie to come back with Mega Man and put things straight with StH. I dunno any other good cause on that. Nov. 23, 2016, 10:03 p.m.
Nov. 23, 2016, 11:28 p.m.
Wow… I've been gone from the site for a while now and this is what happens, eh? Yeah, Archie isn't really doing so hot right now so I totally get where you guys are coming from though and support your decision to remove the comics. I buy the Archie Sonic comics now, so I'm definitely supporting them compared to what I was doing years ago. Only thing I didn't get is the removal of other comics (STC, Manga, Sonic Adventures). Are those gonna be put back? Fleetway has been discontinued for years and there are no plans for reprints anytime soon, same goes for the Manga and Adventures which are obscure and hard to find. Nov. 23, 2016, 11:34 p.m.
Nov. 23, 2016, 11:45 p.m.
@DRAGONLORD Ah, my bad :p I was speed reading lol. Honestly, I don't know what to say could be added. 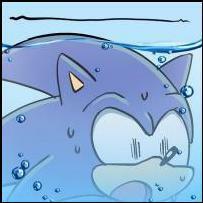 Fan comics are out of the question as you would need permission of the author to host it, but maybe do something like a Sonic Fan Game/Hack showcase where you show off a bunch of fan games or ROM hacks that catch your guys' interest and talk about it. Dec. 3, 2016, 4:53 p.m. I'd say cover more fan content and creation (Fan Art, SFM, Animation, Stories,Music,etc) (don't actually re-upload, just post links and/or embed, so that viewer-ship goes to the original creator, I'm sure nobody would mind the free publicity, there are plenty of sites showcasing fan content like that) and official promotion and news Update the site multiple times a day, Conduct weekly polls, have more interaction, and so on. Edited: Dec. 3, 2016, 7:21 p.m.
Dec. 4, 2016, 11:18 p.m.
Dec. 19, 2016, 4:08 a.m. I think I have a potential way to bring back Archie Comics and make it legal. I heard in a comment that Archie is struggling but what if you guys ran ads, accept donations, and create an account subscription “upgrade”. Then, you could take 80%-100% of the revenue and give it to Archie. I mean I understand that the ads would be annoying but it could be worth a shot, right? Because I seriously want Archie back. I just came back today after a break of comics and found out the news. I had finished issue 200 and wanted to read another one and got an error. So now here I am with my brand new account. Anyways, if that's not possible then what about the older issues that Archie doesn't sell any more and only can be bought from a reseller. Why can't you put those up if there are any? I just hope my idea isn't far-fetched and could actually be used. Dec. 19, 2016, 8:30 p.m.
see a section for fan animations. Dec. 20, 2016, 8:48 p.m.
Dec. 24, 2016, 6:20 a.m.
Dec. 27, 2016, 8:09 p.m.
Dec. 30, 2016, 8:40 p.m.
Could you reupload the comics using bittorrent? Feb. 10, 2017, 1:51 p.m.
Actually, Archie hasn't caught SCANF. They realized that Archie was going bankrupt and they just wanted to help them out.